As a small business owner, you are primarily concerned about reaching your target client base in a way that results in sales. With the internet and smartphones being ubiquitous to everyday life, it’s more important than ever to make sure you are leveraging these technologies efficiently to improve your company’s profitability. It’s common knowledge that every business must have a professional website to be competitive in the modern market. What you may not know is how important it is to make sure your site is developed for mobile access and localized search rankings. Your site needs to be optimized for local search results so your prospective clients can find it easily, and it also needs to be attractive and user-friendly when customers access it from a mobile platform. Here are some important reasons to prioritize these aspects of your company’s online presence. The vast majority of people in your targeted customer base are using smartphones to access the internet. The Pew Research Center found that over 75% of Americans own a smartphone. You must operate under the assumption that most of your potential customers will learn about your company through local search results and access your website on their mobile devices. This is one of the reasons the experts at Web Market Pros focus on local SEO strategies when developing digital marketing plans. Chances are when a potential client does a web search for a business in your industry, he or she will use a mobile device to perform the search and view the websites in the results. If your site doesn’t show up near the top of the search results or looks unattractive on the mobile browser, the potential client will most likely look elsewhere. In order to reach your potential clients, your company’s website must end up near the top of Google search results. In 2014, Google announced it would be notating sites with mobile-friendly interfaces. As of 2017, your site’s functionality on a mobile device is even more important; Google now gives lower search rankings to sites that don’t meet its criteria for mobile accessibility. Therefore, creating a mobile-friendly website is an excellent addition to your other SEO strategies. For decades, the advertising industry has been based off the correlation between brand aesthetic and sales. Modern advertising and digital marketing strategies also seek to use a website’s visual appeal to increase the chance of converting visits to sales. The simple fact is that a potential customer will most likely choose to buy from a company with an attractive and easy-to-use website. Along with working hard to achieve a high local search ranking, you must also make sure your website encourages customers to purchase your goods or services. You may want to include a mobile-friendly e-commerce setup and a simple means for customers to call, text, or email you right from the mobile site. The Pew Research Center’s study on technology showed that almost 70% of Americans use social media. Additionally, social media activities make up over 90% of mobile internet access. It’s clear that these online networks are ideal for targeted marketing campaigns. Whether you use Facebook, Twitter, Youtube, Google+, or other social media networks to reach your target audience, chances are users who click through to your website will view it on a mobile device. Working with Web Market Pros to optimize your website for mobile access is an ideal way to complement your social media digital marketing. From lightning-fast searches to online shopping to instant downloads, modern technology encourages consumers to elevate their expectations when it comes to searching for information, products, and services. While some people still use a desktop computer to do initial research on a product or service, many people tend to use a mobile device when they are out shopping and ready to make a purchase. When people search for something on a smartphone, they want the results immediately and will likely make their decision to buy while glancing through those results. Just as brick and mortar stores relied on foot traffic to attract customers, so your online business must rely on local search results to attract click-through’s that could lead to sales. You can work with Web Market Pros to make sure your business shows up in all the places customers are likely to see: Google Maps, Yahoo Local, City Pages, and Yelp. You wouldn’t eat at a restaurant with dirty tables or buy a car from a dealership with broken windows and burned out lights; likewise, your potential customers won’t purchase from you if they feel your company is unreliable or inauthentic. Few things can damage your reputation faster than an unprofessional website with coding errors, pictures that don’t load, spelling mistakes, or missing contact information. On the other hand, a smooth, responsive mobile interface can improve customers’ opinion of your business and help you compete more successfully with larger brands. Many people want to support small businesses but are afraid these companies won’t be as reliable as large organizations. If you can show off your company’s products and services in an attractive way and provide integrated contact functionality for mobile devices, it can go a long way toward making your potential clients trust you. There are numerous factors that affect your website’s performance in local search rankings, and these factors can change every year. Many of these aspects, such as citation signals, behavioral signals, and foundation factors, can be complex and difficult to understand. Rather than spending your valuable time trying to figure out what these terms means and how they relate to your digital marketing strategy, you can make a cost-effective choice and leave the SEO work to the professionals at Web Market Pros. They understand the nuances of search ranking factors and can utilize their expertise to ensure your website performs up to its full potential. If you approach your digital marketing and website design plans from a desktop-first viewpoint, you will likely be stuck creating and managing separate sites for your desktop and mobile customers. 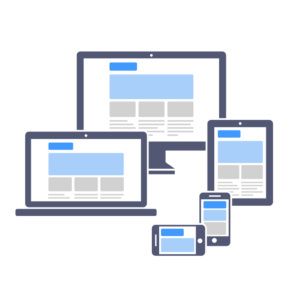 By working with Web Market Pros to develop a mobile-first approach, you can take advantage of state-of-the-art technologies that automatically scale content to the user’s device, allowing you to save time and money on website design and maintenance. Developing a website according to modern coding standards can also help your site meet Google’s mobile-friendly standards, allowing you to rank higher than sites with outdated technology. Technology is advancing at an exponential rate, and it can be difficult for small business owners to keep up with everything required to be competitive in the online marketplace. Fortunately, taking a mobile-friendly approach to designing your website is actually one of the best ways to prepare your business for the future. A responsive website is optimized for smartphones and wearable’s, the areas where technology will continue to advance in the future. By securing your place now as a company with an excellent, mobile-friendly online presence, you can set yourself apart from competitors and ensure you’re ready for the next technological evolution. One of the best ways to ensure your company’s long-term success is to become established in your local community. Fortunately, there has been a resurgence in recent years of consumers seeking to support small local businesses when possible. Google even tends to favor entrepreneurs slightly over large corporations, and provides several tools to help small business owners succeed. Additionally, search engines are always seeking to provide the most individualized results possible, and location can be a significant factor in those individualized results. The Web Market Pros team can focus your digital marketing on local clientele for excellent results, especially when it comes to establishing a favorable online history with good reviews and ratings. Perhaps the most important reason to focus on your site’s local search results and mobile functionality is the bottom line. More effective digital marketing leads to a higher search ranking, which leads to more visitors to your site. When visitors to your site experience fast load times, responsive interfaces, aesthetically appealing designs, and integrated contract and purchase functionality, they are more likely to become customers and remain loyal in the future. The online marketplace is where business happens, and nowadays more people are accessing that online marketplace through smartphones, tablets, and wearable’s. In order to remain competitive, you must have a digital marketing plan that encompasses the most crucial factors in e-commerce success: local search optimization and user-friendly access for mobile devices. The best way to ensure your company is ready for online success now and in the future is to work with a marketing company that can develop a beautiful, functional, and visible online presence. Trust the experts at Web Market Pros to work with you to create a customized plan to establish and maintain your company’s online success.